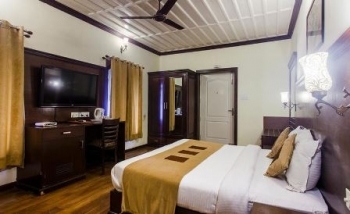 Hotel Paradise Mansion is deluxe hotel located in the famous tourist place, Mussoorie. The hotel offers a captivating view of the Mussoorie hills from every nook and corner of its location. It not only excels in having an exquisite location but its also a pioneer in providing hospitable services to its guests. The hotel is a paradise in true sense, it has surroundings wrapped in the green lands of the Mussoorie hils, the awe inspiring sunrise and sunset from the hotel makes it even more exciting for the nature enthusiasts. The hotel provides quality service at a very affordable and appreciable price. The staff of the hotel is very supportive to the needs of all of its guests as they believe in serving the best to every guest who seeks for comfort under their services. There are a number of major attractions that are located nearby the hotel and visiting them gets much easier as the hotel has an exquisite location and a number of transport facility around it. There is adequate parking facility and is also attached to the very famous and desirable Mall Road in Mussoorie which is the prime tourist location in Mussoorie. The hotel is loaded with all the necessary amenities that are required by every guest to make their stay more comfortable. Be it food, comfort, or any other requirement, Hotel Paradise is well equipped to accomplish all the needs of its guests. Hotel Paradise Mansion is located near the Library Chawk at the Mall Road in Mussoorie. It is placed in the heart of the hill station. It is located at a distance of 34km from Dehradun and 283km from new Delhi. The hotel is very well connected with motorable roads from all parts of India. Hotel Paradise Mansion has well decorated, spacious and tidy rooms for all of its guests according to the suitability of every guest the rooms are divided into various categories listed below. Deluxe Rooms- The Deluxe rooms are facilitated with plenty of luxurious amenities. It has attached washroom with running hot and cold water 24/7, seating area, telephone facility etc. Hotel Paradise Mansion has an in-house restaurant where it serves freshly prepared scrumptious food to its guests. The multi-cuisine restaurant provides hot meals which has the right balance of flavours loaded in it. You can order your favorite pick and indulge in the fresh flavours of the Himalayas. By Road- The hotel is located at a distance of 34km from Dehradun city and 283km from New delhi. Both New Delhi and Dehradun are very well connected with motorable roads that lead to and from all parts of the country. 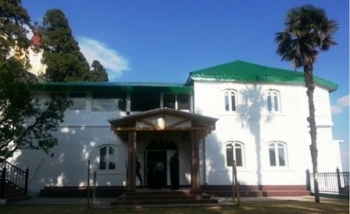 By Rail- The nearest rail connectivity is the Dehradun Railway Station which is located at a distance of 35km from Hotel Paradise Mansion. You can board a bus or book a taxi till the hotel as there are a number of transport facility that are available from the Dehradun Railway Station till the hotel. By Air- The nearest airway is the Jolly Grant Airport which is located at a distance of 60km from the hotel. You can take a cab or board a bus from the airport to the hotel as there are a number of transport facilities available till the hotel. There are frequent flights from various parts of the country till Dehradun Airport which will help you to easily reach at the hotel.